'The Interview' Gets Nationwide Theatrical Release : The Two-Way Nearly 300 independent theaters are showing the comedy, which Sony Pictures had originally pulled following threats. The studio is also showing the movie on streaming services. A poster for The Interview, which will open in nearly 300 theaters on Christmas Day. The movie is also being shown on streaming services. 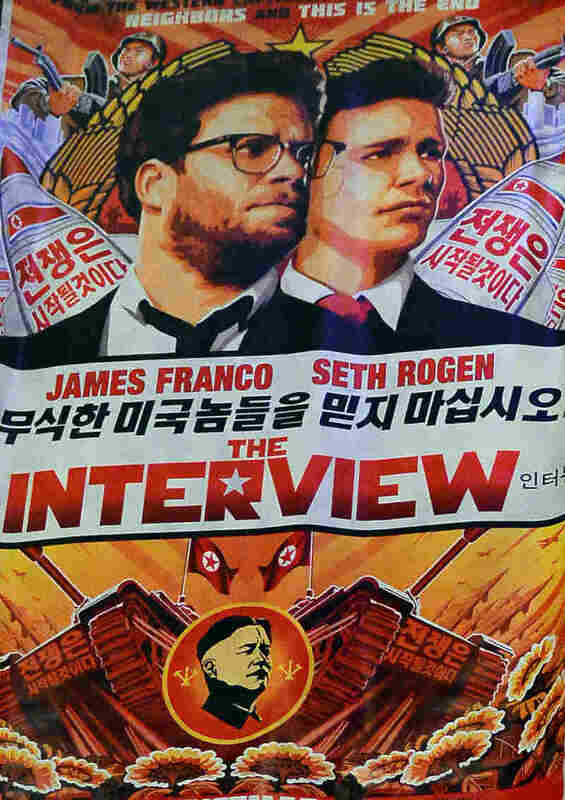 The Interview, the comedy that centers on a plot to assassinate North Korean leader Kim Jong Un, will open today in nearly 300 independent theaters nationwide. The movie is already available to watch on streaming services such as YouTube, Google Play, Microsoft's Xbox Video and a dedicated website. As we reported Tuesday, it's a shot in the arm for the controversial movie, which cost $44 million to make. "Just days earlier, Sony pulled The Interview after ominous threats were made, allegedly by a group that hacked the studio's emails. The nation's largest theater chains had also said they won't show the movie. "The FBI says North Korea was behind the hacks, but Pyongyang — while describing the hack as "righteous" — has denied any role. Some experts also doubt whether the communist country has the capability to carry out such an attack." John Levin, who owns the West End Cinema in Washington, told NPR that demand for the movie was high, and he called Sony's decision to stream the movie wise. He said: "It is extremely unusual that indie theaters are a lifeline for a major studio like Sony and we're very happy to be partners with Sony and showing this film." The film, which stars Seth Rogen and James Franco, will open in more theaters starting Friday.